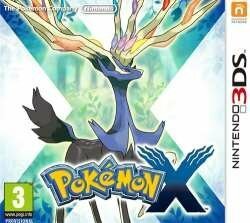 Be the very best and catch them all with the Nintendo Pokémon X Nintendo 3DS Game. Don’t miss out one of the addition to the legendary and well-loved gaming series. One can understand all the fuss about this game, and know that it has rightfully earned its legendary status. Catch as many Pokémon as you want, and bond over with your friends as you train your pokémon for greatness. As is consistent in the gaming series, one will encounter a whole new batch of Pokémon in addition to ones found in the previous games. Trainers will find themselves in the star-shaped city of Kalos that is home to indigenous breeds of Pokemon.